Why paint with your toddler…. 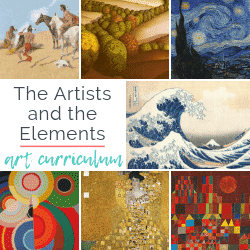 Google art classes for toddlers in your area and most likely several choices will pop up. 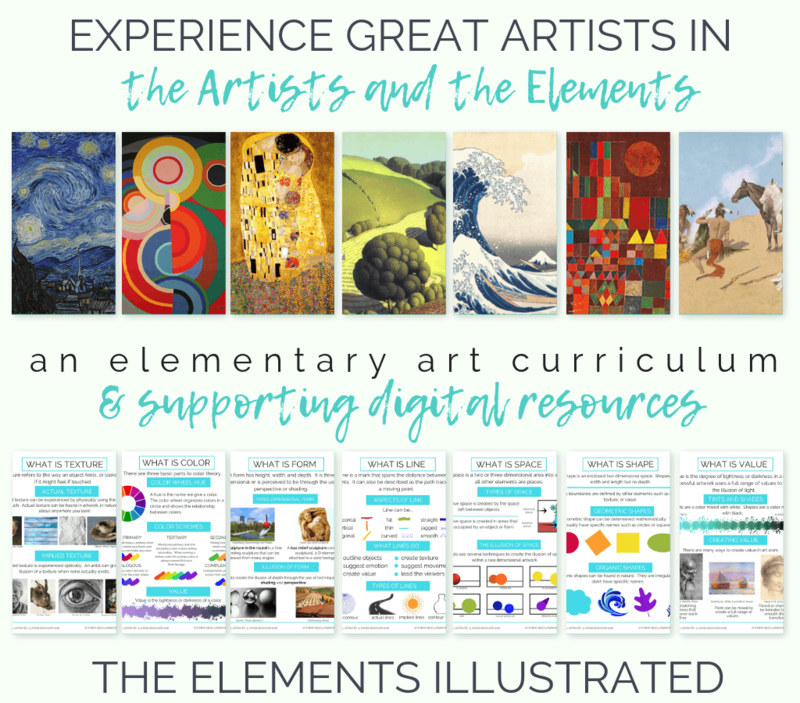 Do you need to take expensive classes in order to give your kids an amazing creative experience? Absolutely not! I’ve taught lots of those classes and they are fun, generally a great experience, and almost always contain nothing you couldn’t do at home! The goal is to expose your little one to a variety of materials and foster their confidence in creating. Expose them to lots of different sensory enriching materials. 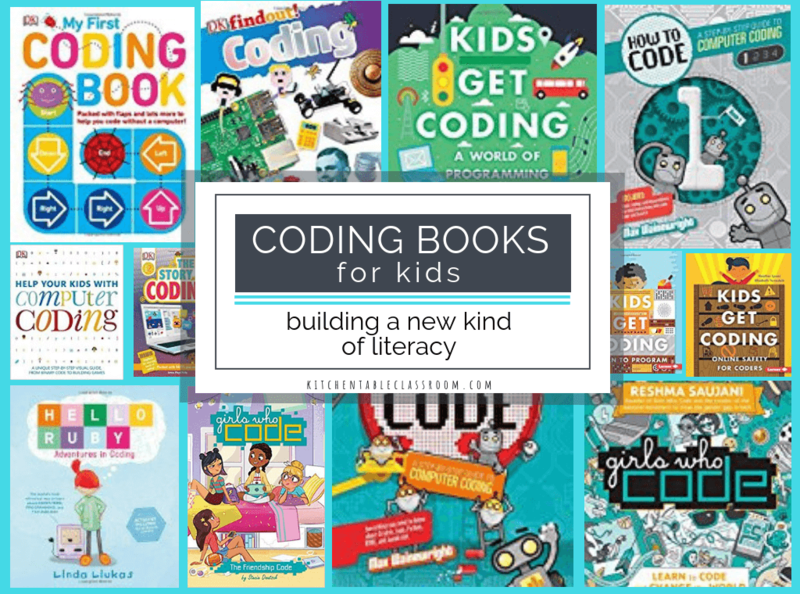 Build fine motor skills through the use of different tools and techniques. The idea for young kids is that process is way more important than product. Process art means you, as the parent or teacher, provide an art experience for your toddler without having a preconceived idea of what the product should look like. So, those step by step crafts that all turn out adorably the same….. that’s not really art class. Those are crafts. Crafts totally have their place. They can help kids learn about sequencing, following directions, and provide small motor skill practice. Step by step crafting means you make the decisions about what your toddler is making. You decide the colors, the shapes and when they are done or not done. Process art turns the reins over to your kiddo. They make the decisions. Which, let’s face it, in life and art being in control and deciding for ourselves is a heck of a lot more fun than following directions! So, even if your toddler’s painting looks like a hot mess to you- it’s theirs. Celebrate it! 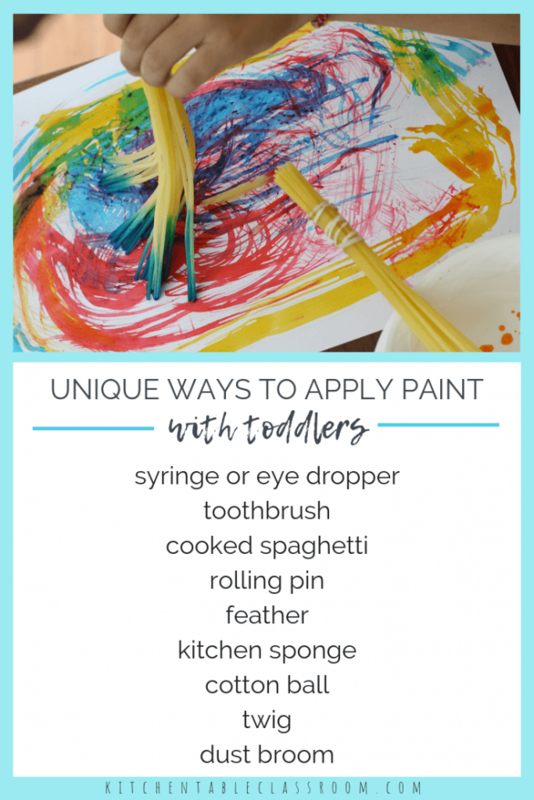 The best setup for painting activities for toddlers…. For a basic set up I love using some kind of a mat or table covering. If you still get a newspaper- use that to cover the table or work surface. I love these silicone mats made just for art class. The small lip around the edge means any liquid mess is contained but it’s small enough that it doesn’t make it uncomfortable for kids to reach over it. And your table is safe! If you must work in a room with carpet protect it with one of these so that your little artist doesn’t have to be so careful that it ruins the fun! Watercolor paints are a natural for painting activities with toddlers. They’re cheap, easily accessible and generally washable. I like this jumbo set of watercolors by Crayola. Watercolors are super adaptable and really shine when paired with other household materials. Try adding chunky kosher salt to an already wet watercolor painting for a magical starburst effect. Lay pieces of plastic cling wrap in wet watercolor paint to create all kinds of interesting shapes created by the color pooling around the plastic. Paint over dried drizzled glue for an interesting resist. Lay leaves and blooms in a wet watercolor painting to make a nature print. The watercolor processes above are explored fully in this post on watercolor techniques for kids! Drizzle white school glue on a sturdy paper and sprinkle with table salt. When the glue is dry shake off the extra salt and let your toddler drip watercolor paint onto it and watch the paint absorb and spread. This is a classic activity that just never gets old. 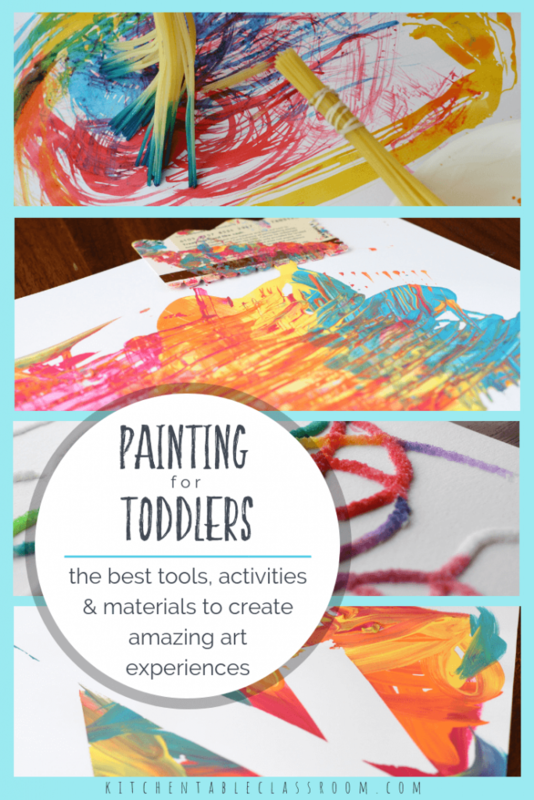 The best tempera & fingerpaint for toddlers…. Tempera paint and finger paint can be used mostly interchangeably in most cases. Both are washable and easy to find. Tempera tends to be more opaque with better coverage. Tempera paint is easier to find in a larger variety of colors. This tempera set has 24 pretty colors, including metallics and neons. Fingerpaint is slicker and more translucent. 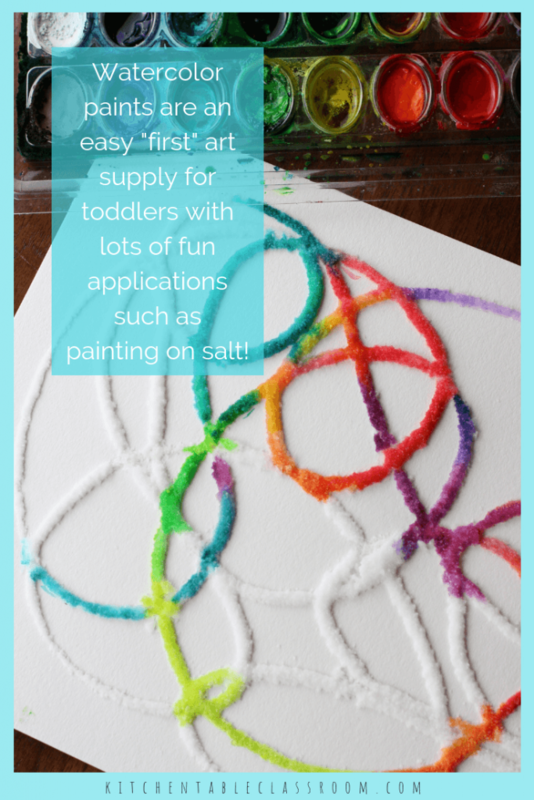 It usually comes in pretty basic colors but is a super fun addition to a toddler art set up! This set of three tubes of fingerpaint and the shiny paper that makes fingerpainting so fun! Create a homemade version of these “paint scrapers” by cutting notches into an old gift card or credit card. Cut notches different distances apart so that kids can create different patterns with each swipe. Set kids free with a large brush to apply paint to the paper and then, while the paint is still wet, use these scrapers to move the paint around and leave behind the pattern cut into their scraper. See how to make these textural paint scrapers here! Give your toddler a long piece of blue painters tape (the kind that comes off easily) and show them how to rip the long piece into shorter pieces and press onto a large white paper. Supply a handful of tempera paint colors and cover the whole paper, tape and all. Later, when the paint is dry, work together to remove the tape and reveal the paper underneath! 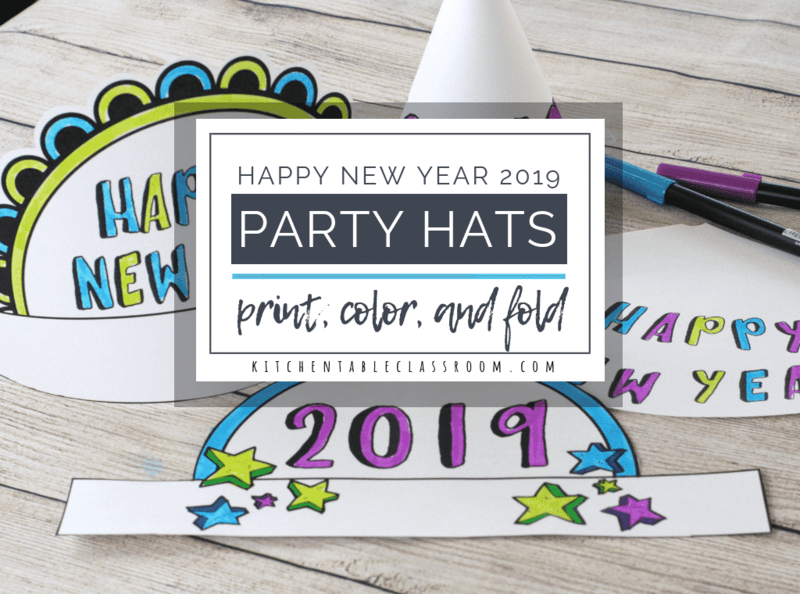 In this post we used only primary colors to create secondary colors but any colors will create a fun pattern and color surprise! Unusual tools for painting with toddlers…. Use unusual items to apply paint. I like using big brushes with easy to grip handles when painting with toddlers. But it’s also fun and super freeing to paint with more unusual tools. Think outside the box and set up painting experiences for your little artist using household items. Try using a clothespin to turn a kitchen scrubber, a sponge, or a few fabric strips into an easy to hold brush. Place a feather or a twig next to their tray of paint and paper and see what happens! Art class doesn’t require anything fancy, just a bit of imagination! Check out this lesson for details on how we used spaghetti as a super fun paintbrush! 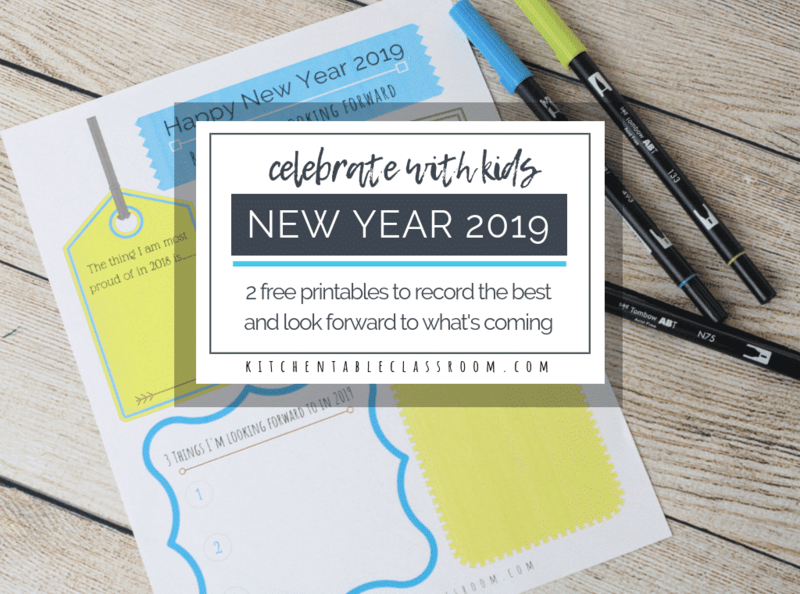 Creating printmaking experiences for toddlers…. Tempera paint can be an excellent medium for printing with your little artist. Think of printing as stamping an object down on the paper and leaving it’s impression rather than dragging it around like a paint brush. Present the idea of printmaking like the new process it is but know your toddler will most likely use their printmaking objects as a paintbrush, at least occasionally, and that’s okay. You provide the experience and let them choose how to use the materials. Set up a printmaking station with a shallow dish or plate with a thin layer of paint spread out. 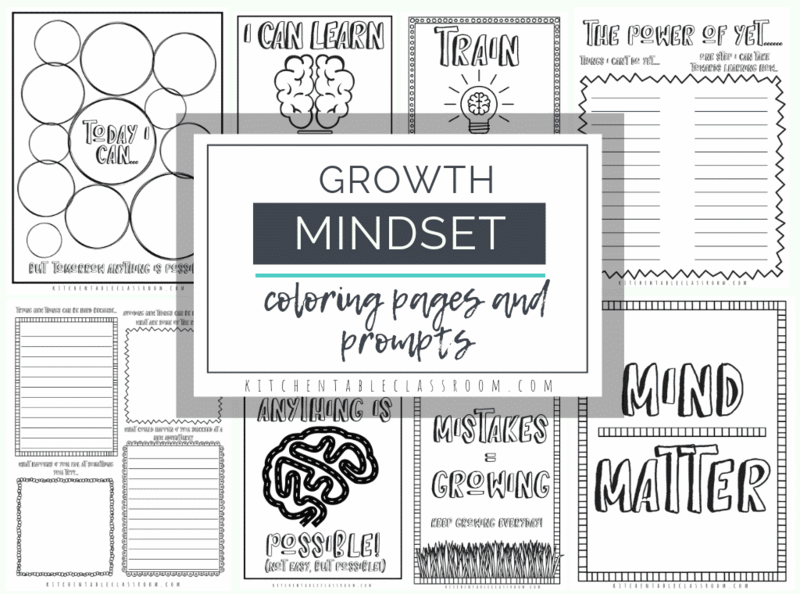 A big sheet of white paper, or whatever you choose to print on, and your printing tools should all be on your toddler’s workspace. This can all be contained on the silicone mats I mentioned above to eliminate clean up! 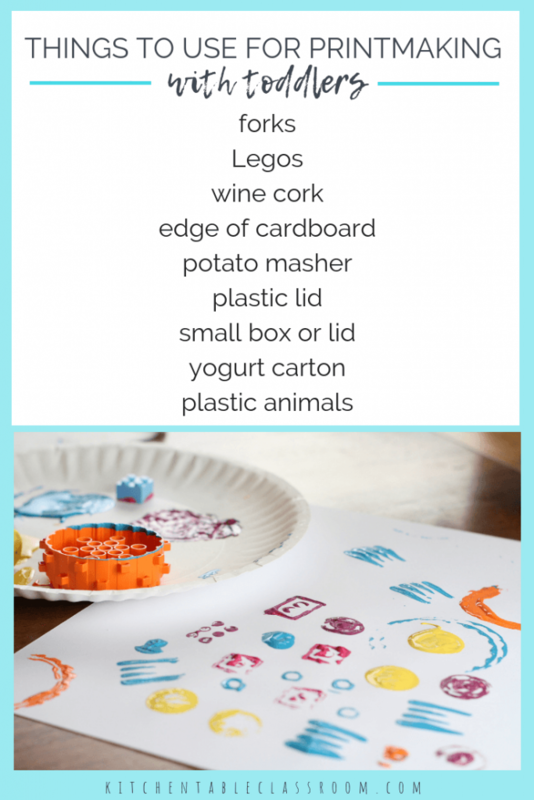 Fun household items to use for printmaking with toddlers are Legos (more about that in this post), wine corks, forks, potato mashers, etc. Anything that has an interesting shape can make an interesting print! Explore painting on unique surfaces…. 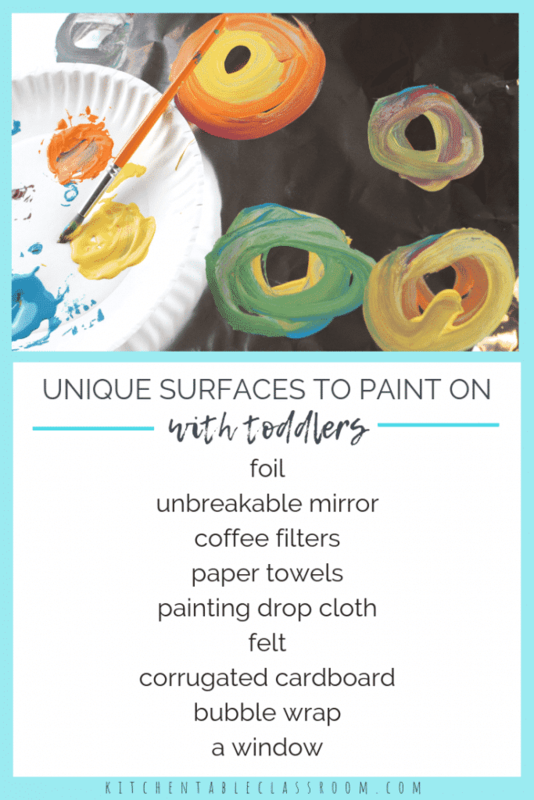 Not only can you offer a variety of materials to paint with but also change up what your toddler is painting on! Painting on a surface other than plain old paper is a new experience and one that’s easy to set up! Try painting on layers of newspaper. It can be fun to let kids react to the shapes and colors already on the newsprint or follow their own inspiration. Stretch out a foot or so of foil and let kids paint on it. This super shiny, reflective surface will be a whole new sensory experience for brush or finger painting with your toddler. Check out this post for tips on how to prepare a foil board for easy painting! Experiment with painting on a more absorbent surface like felt or paper towels. Check out this post to see how we use watercolor paint and paper towels for a fun patterning experience! Creating amazing experiences painting for toddlers…. 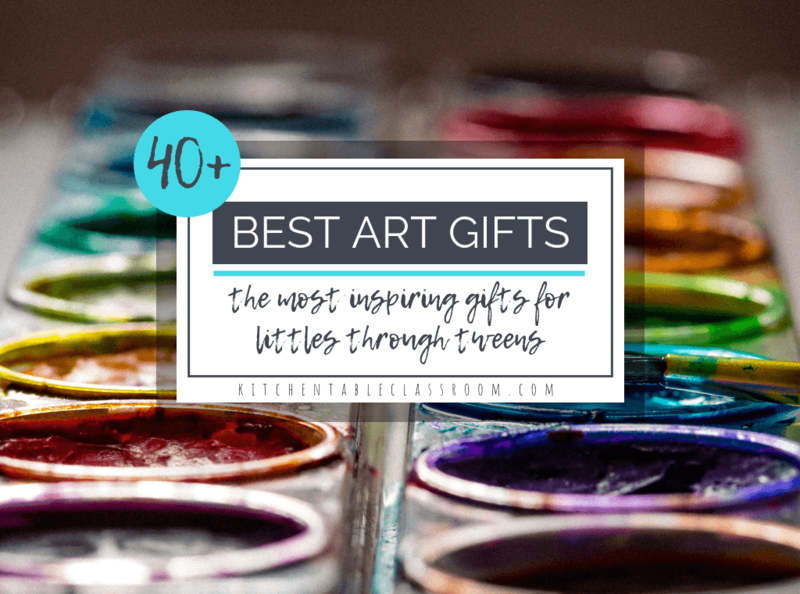 Little kids need art experiences that allow them to explore, create, and build. 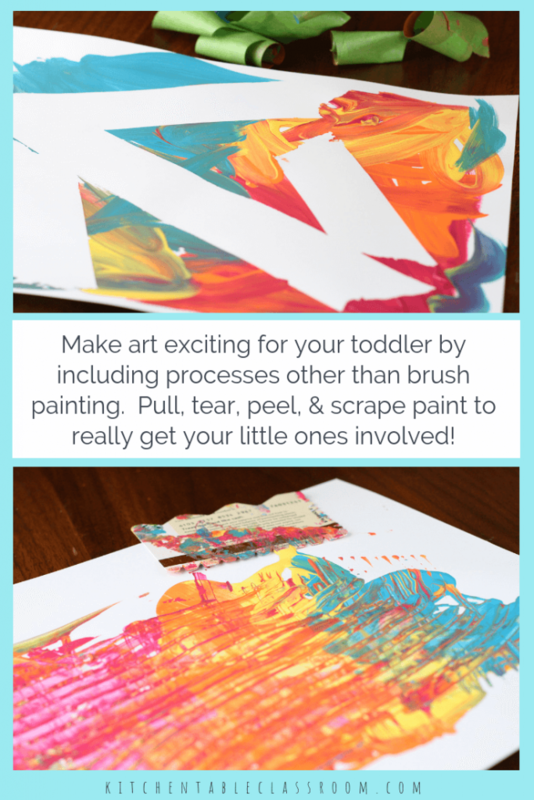 Try these and let me know your favorite activity for painting with toddlers. 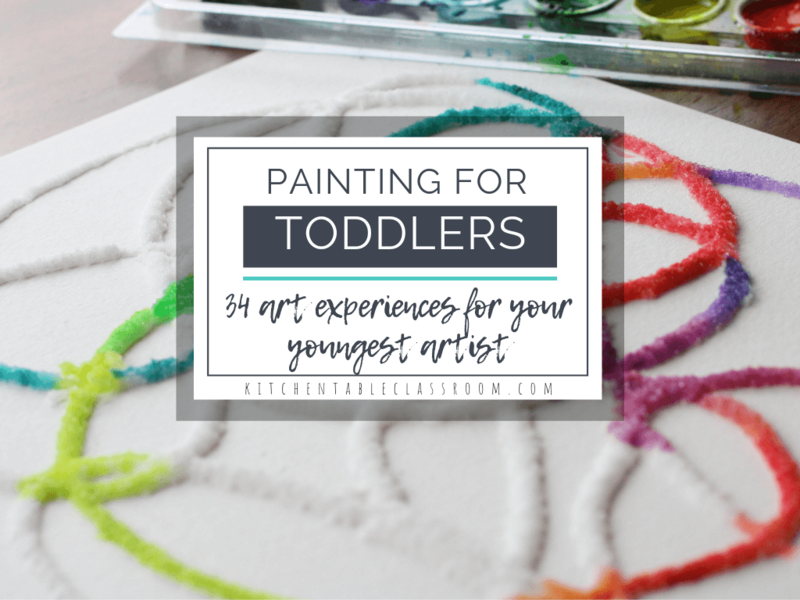 What painting activity for toddlers does your little person love that I missed? If you enjoyed these ideas for painting for toddlers please share on your favorite social media channel.